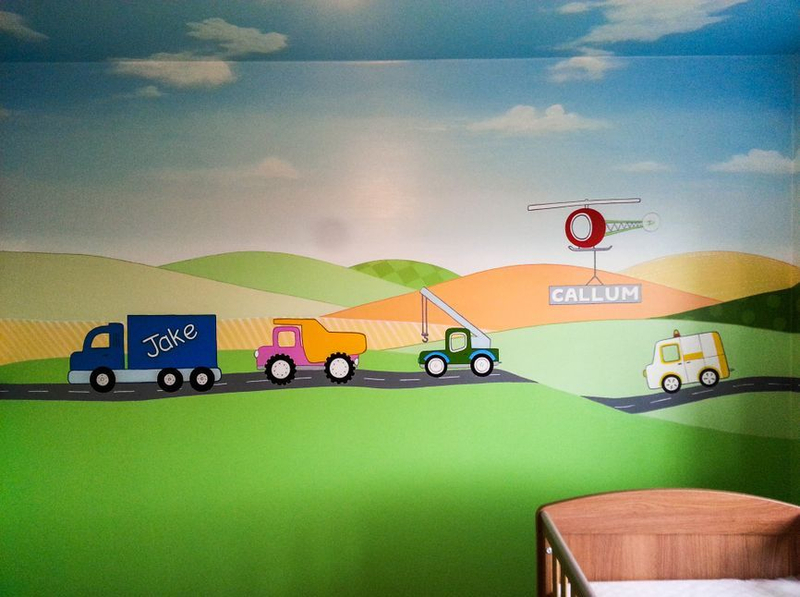 This nursery for twin boys has all four walls and the ceiling painted with a patchwork construction theme. 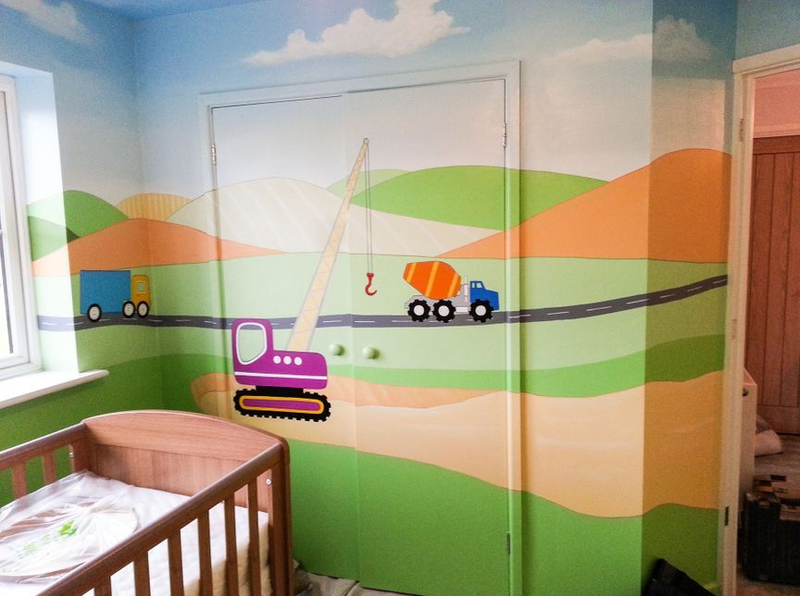 We also continued the mural over the built in wardrobe doors and painted the radiator and skirting to match. Having a whole room painted can make the space seem a lot bigger, opening out smaller rooms. 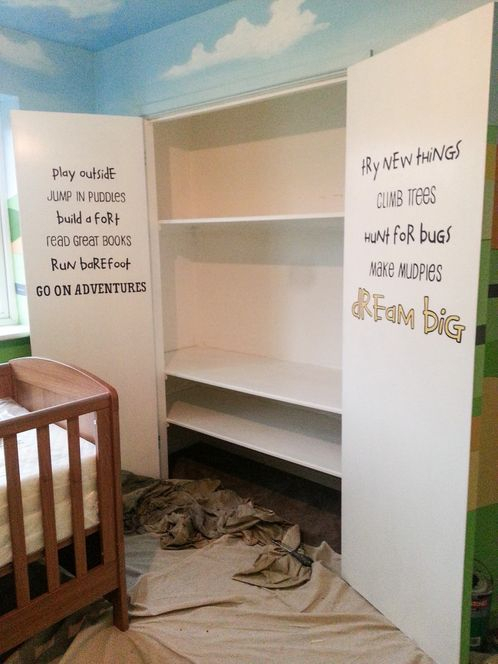 We also painted a quote on the inside of the wardrobe doors, which finishes off the room perfectly for two little growing boys! 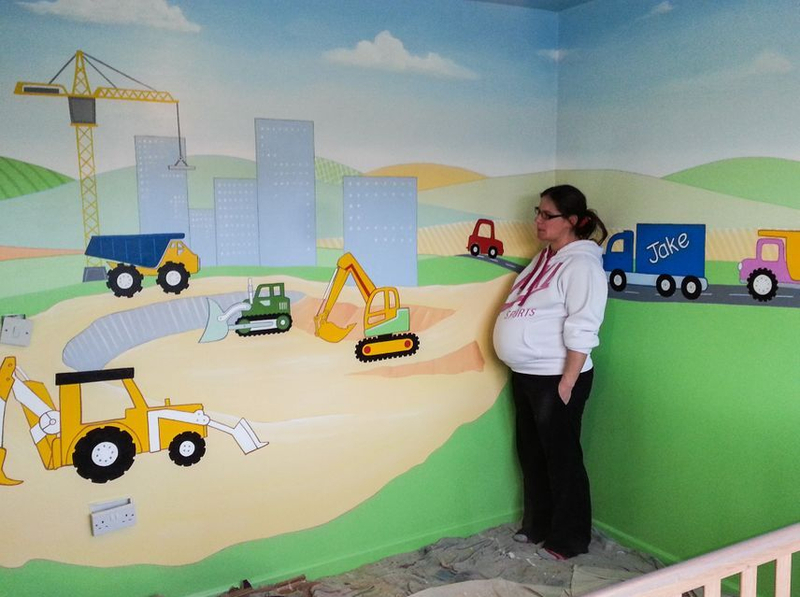 This room took us eight days to complete.